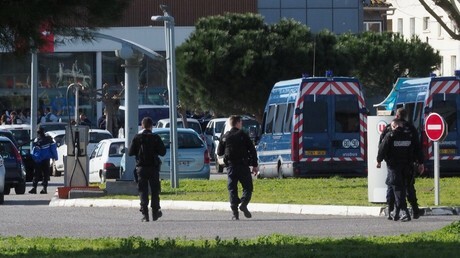 There could have been many more casualties in the hostage-taking crisis in southern France. 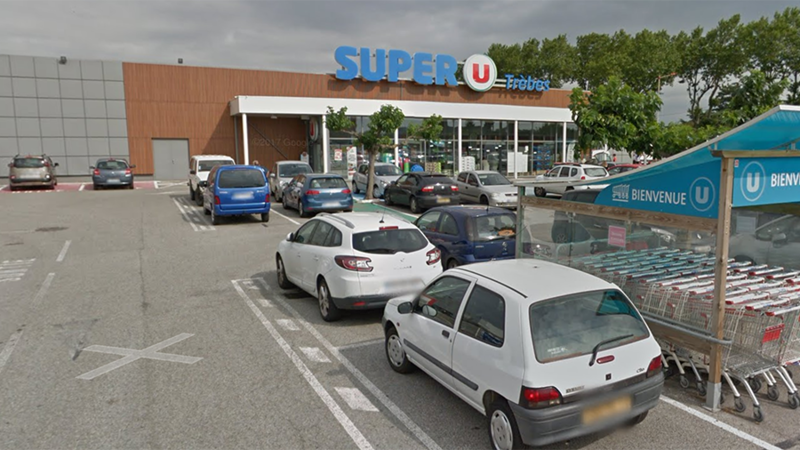 Investigators have reportedly found three homemade bombs and other weapons at the site of the supermarket attack in Trebes. 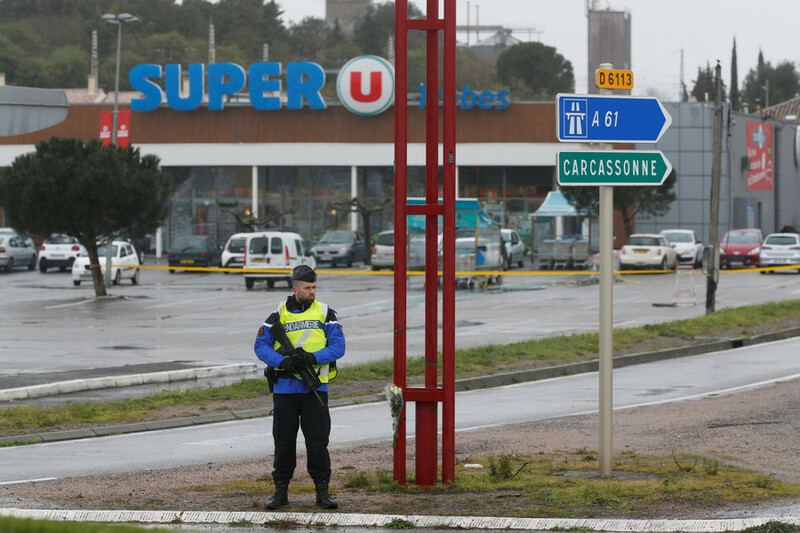 Three improvised explosive devices, a 7.65-caliber handgun and a hunting knife were found after Moroccan-born Redouane Lakdim was shot dead during a standoff at the supermarket, an unnamed judicial official told AP. 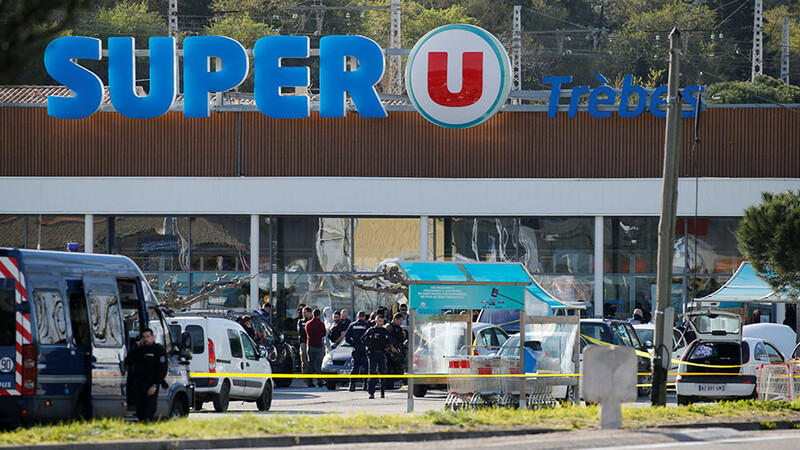 The terrorist attack suspect was killed by elite French forces that stormed the supermarket after hearing gunfire inside. It is unclear if the attacker was going to use the bombs to blow up hostages or use them against police. Four people have died since the Friday rampage and over a dozen were injured. Lakdim first opened fire at police officers in the town of Carcassonne, where he was based. 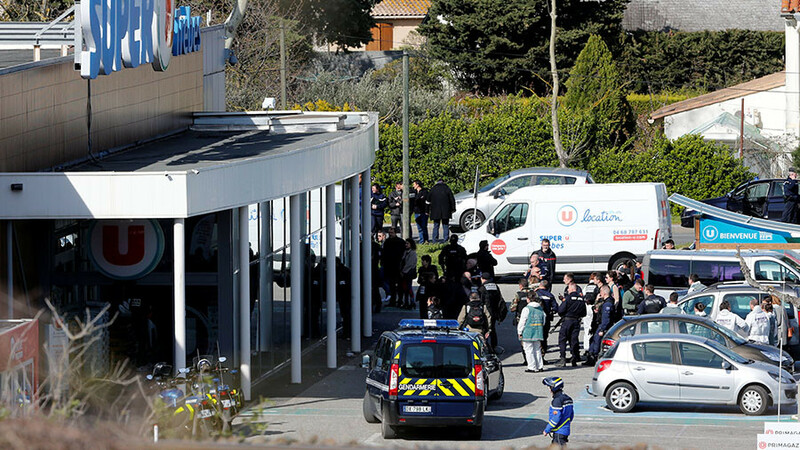 The 26-year-old then hijacked a car, killing the driver, and made his way to the nearby town of Trebes where he took multiple hostages at a local Super-U supermarket. The gunman’s last victim was police officer Arnaud Beltrame, who volunteered to swap places with several hostages and covertly maintained contact with his colleagues via a cellphone while inside the building. However, the heroic policeman sustained gunshot wounds during the incident and died in hospital on Saturday. 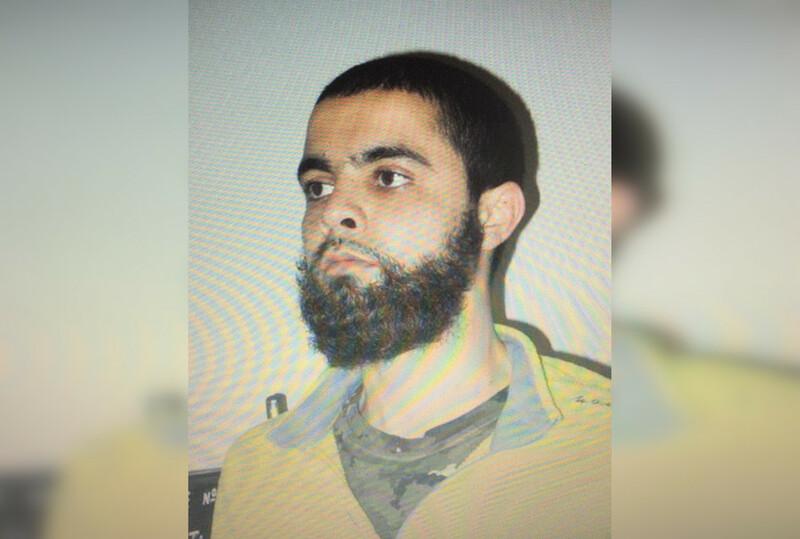 During the search of Lakdim’s apartment in Carcassonne, a handwritten final testament was discovered, in which the perpetrator pledged allegiance to the Islamic State (IS, formerly ISIS/ISIL) terrorist group, the judicial official said. The attacker’s cellphone and personal computer were also seized by the investigators, he said, adding that none of the notes in them mentioned plans for attacks in Carcassonne and Trebes. IS earlier claimed responsibility for the attacks via its Amaq propaganda mouthpiece but provided no evidence to back the statement. 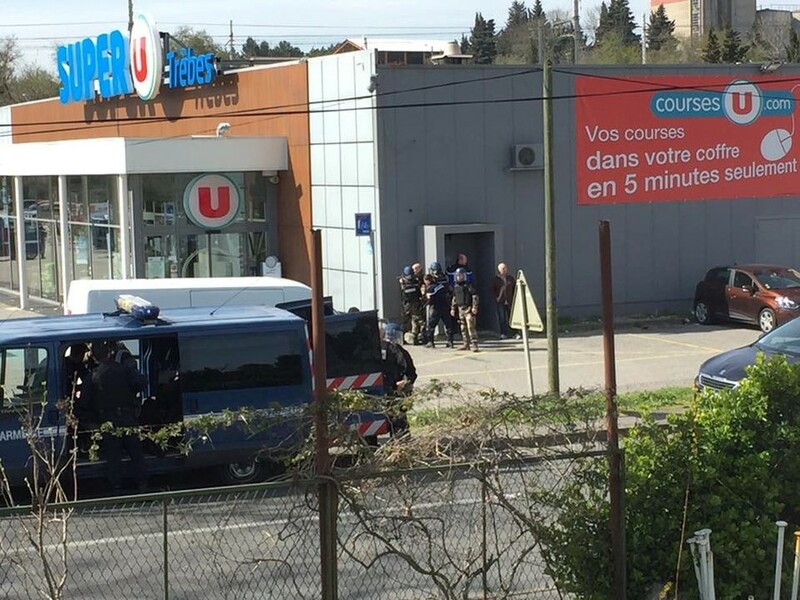 Lakdim reportedly shouted ‘Allahu Akbar’ as he shot at people and took hostages in Trebes. During the siege, the gunman also said he was ready to “die for Syria” and demanded the release of Salah Abdeslam, the only surviving terrorist suspect in the Paris attacks of 2015. President Emmanuel Macron dubbed the attack an act of “Islamist terrorism,” but added that security services had yet to establish if Islamic State was really behind the attack. The French authorities were aware of Lakdim’s links to radical Islam as he was on the “Fiche S” list, of people to be under constant surveillance as a threat to national security, since 2014. On Friday, an 18-year-old woman, who, according to the prosecutors, “shared a life” with Lakdim, was detained in connection with the case. Another arrest of a minor, born in 2000, was made on Saturday.